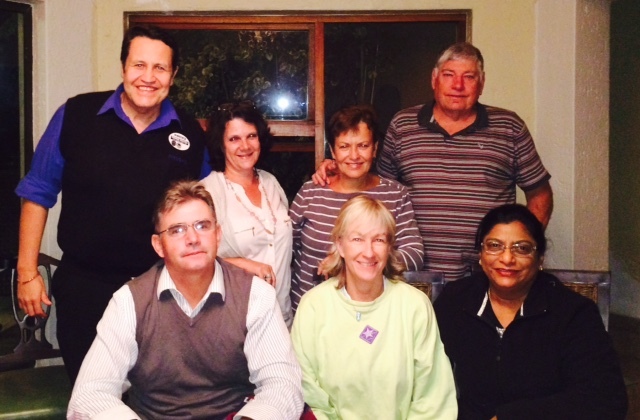 The Agape Cell Group is hosted by the devout Norman and his beautiful wife Elize at their home on Wednesdays. A place of refuge, safety and no judgement where one can grow in relationship with Jesus, be cared for, prayed for and nurtured in the word. We are a Holy Spirit led cell giving deeper understanding and love for Jesus and one another to be able to be the hands and feet of Jesus to the world. Generally Sunday service’s word is discussed and worked through in more detail. Time is spent in worship, prayer and ministry. However, on occasions we just have fun and fellowship, getting to know each other better and with deeper understanding. At times we may also take on a series as led by the Holy Spirit and approved by the eldership. Why should I join Agape Cell group? The word Agape says it all: The love of Jesus for us and of us for Jesus – Loving and caring for each other in all ways the way Jesus would. We are a diverse group of people from all walks of life all focused on the same purpose to – get to know and love Jesus more.